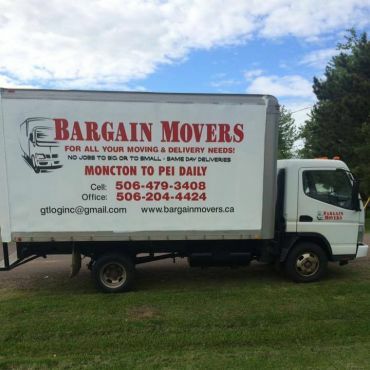 At Bargain Movers, we are a premiere moving company offering quality services to Moncton, NB and surrounding areas. Our trained and experienced staff will ensure that your belongings are delivered safely and hassle-free. No matter what the occasion, we have the right vehicles and the best team of people to help you move. We can handle any job, big or small, with professionalism and efficiency. Don't worry if this is a last minute move, call Bargain Movers and all your stress will be gone!